London - Southampton manager Ronald Koeman praised the display of goalkeeper Fraser Forster against Chelsea, although he refused to debate whether Forster should replace Joe Hart in the England team. "I'm very happy and pleased that we have Fraser in our team." 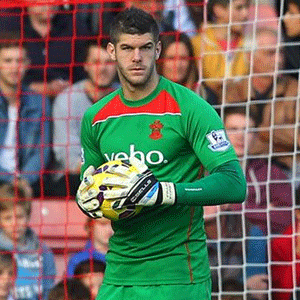 Koeman said after Forster's inspired performance at Stamford Bridge. "Not only today: the expectation for today is much bigger than normal, and he had fantastic saves in the second half, but he has played an unbelievably high level for the team,"
"Goalkeepers are always key players in a team, in a good defence, and that's one of the qualities we have. "Hart is a good goalkeeper, Fraser is a good goalkeeper. I'm happy to have him in the team. It's not my decision to make (who the best English goalkeeper is at present)."